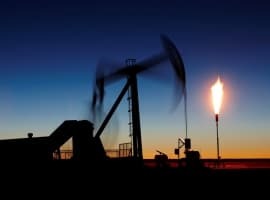 Oil is ticking higher today, as speculators continue to bet on the prospect of the market tightening. As Nonfarm payrolls beckon tomorrow, hark, here are five things to consider in oil markets today. 1) While total global floating storage is ticking lower, it is still holding above 100 million barrels. Two areas where we are seeing it gradually drawn down is off Singapore / Malaysia, and in the Persian Gulf. After being over 30 million barrels as recently as October, Iranian floating storage has been siphoned to supplement exports - underscoring the Persian Gulf state's struggles to boost domestic production. 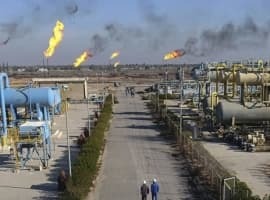 This week we have seen Iranian barrels drop to 5 million barrels, while barrels offshore of United Arab Emirates have halved in the last week, dropping to just under 10 million barrels. 2) We have seen a distinct change in appetite from China, as March deliveries of medium and heavy crude have increased considerably, while light imports have dropped off. As imports from the Middle East have dropped by half a million barrels per day, arrivals from West Africa have reached the highest on our records, close to 1.5mn bpd. This record volume has been led by a rebound in Angolan arrivals, but also by rising imports from Nigeria, Equatorial Guinea, Gabon and Ghana. Over 70 percent of this crude is medium or heavy. Another is that it has issued a second batch of 2017 product export quotas, but has slashed them to three of the country's leading oil companies: Sinopec, CNOOC and Sinochem Quanzhou. The first batch of product export quotas for the three companies were ~70 million barrels. The second batch is considerably lower at ~28 million barrels. What is peculiar, however, is that PetroChina has not received a quota in this second batch, after receiving a ~32 million barrel allocation in the first round. The total product export quota last year was ~360 million barrels. 4) Saudi Arabia's net foreign reserves have now fallen by over 30 percent from their peak of $737 billion in 2014 to just over $500 billion. 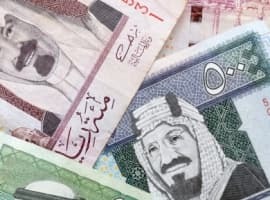 As the kingdom tries to strike a balance betwixt growing its economy but shifting away its reliance on oil, its short-term tactic is to use draw on its reserves to plug its budget deficit. Net foreign assets fell by an average of $6.5 billion each month of last year. If this pace continued, Saudi Arabia would run out of assets in six and a half years. 5) Not only is Saudi Arabia drawing down its foreign assets, but it is also pulling oil from its inventories. After peaking at 329 million barrels in October 2015, Saudi's oil inventories have now dropped to just under 262mn bbls - having experienced the biggest monthly drop in a year for January with a 10.66mn bbl draw.